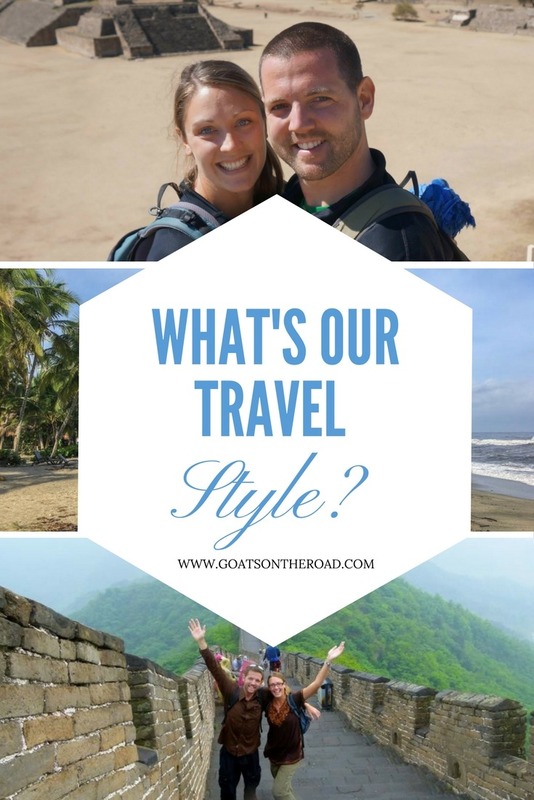 Goats on the Road Posts » Getting Started » Planning » What’s Our Travel Style? We figured we should outline the way we like to travel, the level of comfort we require when on the road and the things we like to see and do. That way you will have an idea about our budget and how much bang we get for our buck! The way we do our budget is to put the daily amount into the wallet and that’s all we have to spend. If we go over that amount and have to take money from the reserve pocket in the wallet, well, we’re over budget for the day. Ideally we open the wallet at the end of the day and there’s still some cash in there. On our first trip (2008/2009) through SE Asia, India and Sri Lanka, we were on a total budget. We scrimped and scraped wherever possible. We made a trip that was only going to last 10 months, last 13. We would sleep in very basic accommodation, always taking a fan room over an a/c room and always go for the least expensive room. We would eat at local eateries (which isn’t a bad thing), only splurging for Western food once in awhile and had a strict food budget. We would make sure to save enough cash throughout the day though so we could have some beers at night! We would ride in the lowest class of train, take the cheapest local bus possible and always figure out the cheapest way to get from point ‘a’ to point ‘b’. When seeing sights, we wouldn’t join a tour, we would rent a bike and go off on our own to see all of the same things the tour would take in. We missed out on a few excursions because of the cost and because of our pride. We didn’t want companies to think they could charge whatever they wanted for a tour and everyone would just pay it. We were taking a stand! And therefore, missed a few things. Don’t get us wrong though, we still saw and did lots and had amazing experiences. We hiked volcanoes, trekked through the jungle, went on a camel safari, rented motorbikes whenever possible to go and see sights, went to Angkor Wat, went house-boating & go-karting, rode on gondolas and spent days snorkelling. Our Total budget for 13 months of travelling in this style was an average of $55.00 / day. This price excludes visa costs, travel insurance, diving & flights which effectively brings this average up to $75 / day. For this current trip (2011/2012), our way of travelling has changed, along with the daily budget. Travelling through parts of Western Europe, Eastern Europe, Middle East, the Sub-Continent, Asia & Africa has been a completely different trip than the one listed above. Yes, we are still on a budget and still consider ourselves ‘budget backpackers’. However, we now allow ourselves more comforts. Perhaps this is a sign that we are getting older? Either way, for this trip, we make sure we have a nice room, we still go for a fan room unless it unbearably hot, then we will go for a/c. If a room is cheaper than another but it is musty, damp or dark then we won’t go for it. A nice environment is important to us, we like to be in a place with character, other travellers, and a good vibe. We will eat out wherever we feel like, but still try to eat at the cheapest place possible. We have a small food budget but we aren’t eating only local cuisine, we mix it up with Western foods as well. We buy bottles of wine at the store (it’s cheaper than restaurants) and have beers. We ride in nicer buses and take second class on the trains. If a type of transportation costs only a few dollars more, but gets us to our destination much faster and with less headache, we will spend the little bit extra. When it comes to tours, we will still try to go and see things independently unless a guide is required or unless it’s way cheaper to go as a group. If we need to spend a few extra bucks to have the guide to ourselves and enjoy a more authentic local experience, then we will definitely splurge. We have gone on an African Safari, snorkelled with Whale Sharks, spent time in an Indian Ashram, trekked through the Himalayas, sailed through archipelagos, rented a car 4 times and have seen 3 Wonders Of The World…and much, much more! For a travel style like this, over a 18 month period, we have spent on average $95.00 / day. 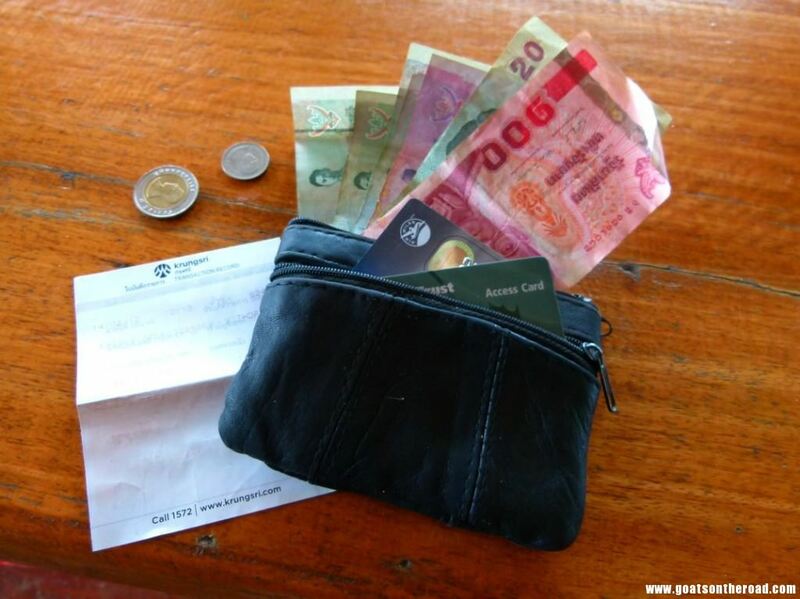 This budget includes food, transportation, accommodation, entertainment, visa costs, scuba diving and all flight costs. 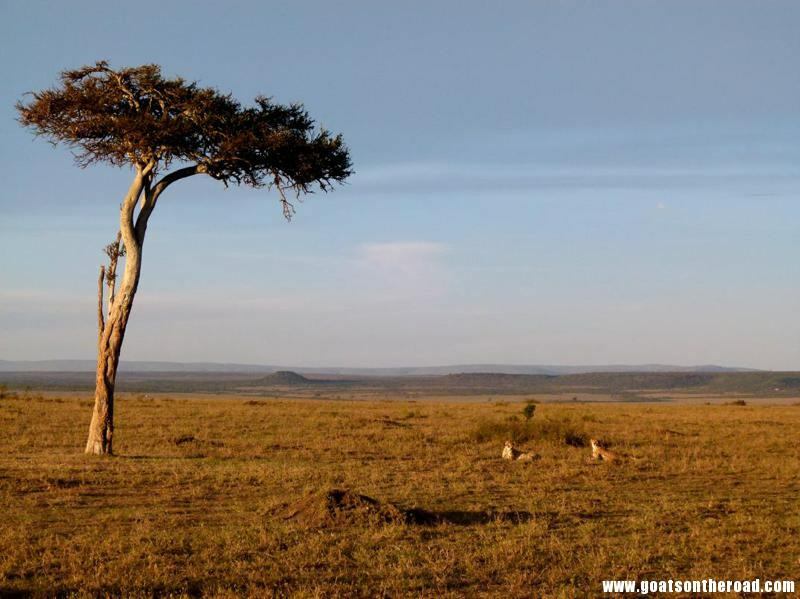 Goats On The Road provides some simple tools to save you time and money! Get Your Visa With VisaHQ! The most trusted visa provider on the web! 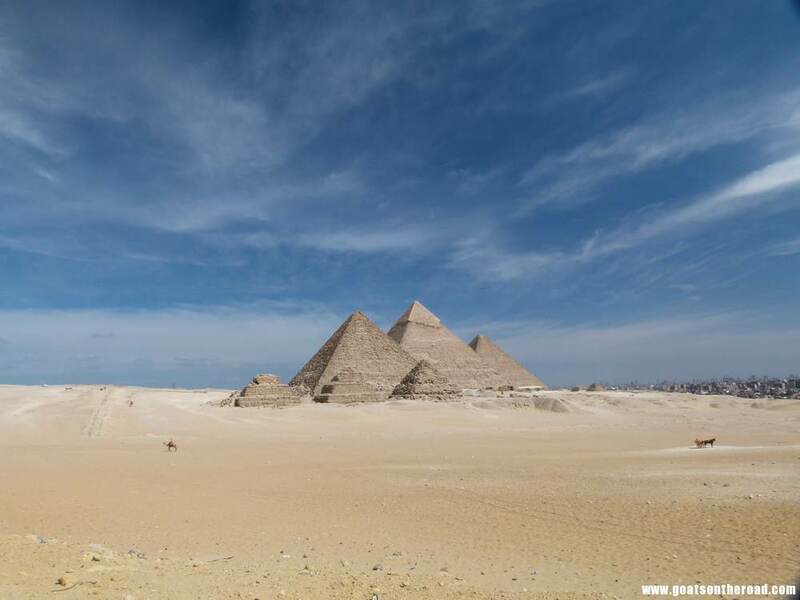 Apply For The Best Travel Insurance For Backpackers! World Nomads Is Easy, Affordable & Available On The Go! Book Your Room With Hostel World & Save Money! Not Just Hostels, There Are Private Rooms & Hotels Too! Type in the city you plan to visit and get an idea of how much it will cost. Disclaimer: Any bookings, orders or services paid for through Goats On The Road will be of ABSOLUTELY NO EXTRA CHARGE to our readers. You’re purchase does help to keep the Goats On The Road through affiliate sales, so we do thank you for that! Japan is one of the most expensive countries to backpack in, but $300 is a bit absurd, even for budget imposters. Thanks for the advice, good to know how much to expect for a round the world trip! No problem. We’re glad to help. Thanks for the comment! It’s not clear – is that per person or for a couple? Thank you for mentioning this, the prices are for a couple.